EMSL recently posted a collection of eight new videos on its YouTube channel and website to help users improve their research. The short videos – around two minutes each – feature EMSL scientists describing how certain capabilities can advance users’ projects, particularly those relevant to DOE Office of Biological and Environmental Research. Or check out all the videos under EMSL’s “Accelerate Your Research” YouTube playlist. Welcome to EMSL. EMSL is a national scientific user facility that is funded and sponsored by DOE’s Office of Biological & Environmental Research. As a user facility, our scientific capabilities – people, instruments and facilities – are available for use by the global research community. We support BER’s mission to provide innovative solutions to the nation’s environmental and energy production challenges in areas such as atmospheric aerosols, feedstocks, global carbon cycling, biogeochemistry, subsurface science and energy materials. A deep understanding of molecular-level processes is critical to gaining a predictive, systems-level understanding of the impacts of aerosols and terrestrial systems on climate change; making clean, affordable, abundant energy; and cleaning up our legacy wastes. Visit our Science page to learn how EMSL leads in these areas, through our Science Themes. Team’s in Our DNA. We approach science differently than many institutions. We believe in – and have proven – the value of drawing together members of the scientific community and assembling the people, resources and facilities to solve problems. It’s in our DNA, since our founder Dr. Wiley’s initial call to create a user facility that would facilitate “synergism between the physical, mathematical, and life sciences.” We integrate experts across disciplines; experiment with theory; and our user program proposal calls with other user facilities. We proudly provide an enriched, customized experience that allows users to connect with our people and capabilities in an environment where we focus on solving problems. We collaborate with researchers from academia, government labs and industry, and from nearly all 50 states and from other countries. Innovation also uses less platinum, expensive component of catalytic converters. 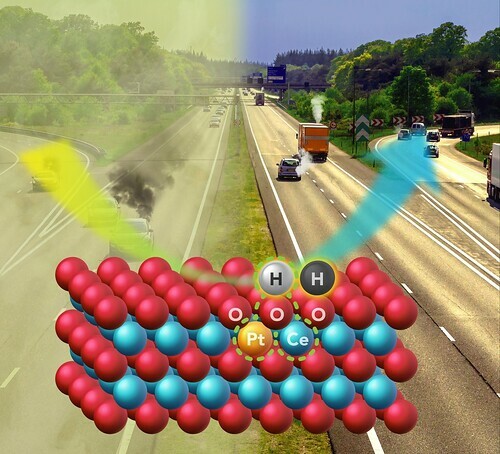 Researchers discovered a new type of active site (dashed green circles) which meets the dual challenge of achieving high activity and thermal stability in single-atom catalysts to improve vehicle emissions. No image credit. As cars become more fuel-efficient, less heat is wasted in the exhaust, which makes it harder to clean up the pollutants are being emitted. But researchers have recently created a catalyst capable of reducing pollutants at the lower temperatures expected in advanced engines. Their work, published this week in Science magazine, a leading peer-reviewed research journal, presents a new way to create a more powerful catalyst while using smaller amounts of platinum, the most expensive component of emission-control catalysts. The recent findings grew out of a collaboration between research groups led by Yong Wang, who holds a joint appointment at the Department of Energy’s Pacific Northwest National Laboratory and is a Voiland Distinguished Professor at Washington State University’s Gene and Linda Voiland School of Chemical Engineering and Bioengineering and Abhaya Datye, a distinguished professor at the University of New Mexico. For their latest paper [Science], the researchers steam-treated the catalyst at nearly 1,400 degrees Fahrenheit. This made the already stable catalyst become very active at the low cold-start temperatures. The work was funded by DOE’s Office of Science and Office of Energy Efficiency and Renewable Energy’s Vehicle Technologies Office. The U.S. Department of Energy’s Pacific Northwest National Laboratory in Richland, Washington. Borgendorf/Wikipedia. A U.S. Department of Energy (DOE) official’s controversial request this summer for scientists to remove “climate change” from research abstracts was ordered by senior national lab managers and was intended to satisfy President Trump’s budget request, according to emails obtained by E&E News and confirmed by a lab aide. The communications, obtained through a Freedom of Information Act request, suggest officials at Pacific Northwest National Laboratory (PNNL) in Richland, Washington, a national lab funded by DOE, were trying to protect scientists. But the emails also leave unanswered questions about why decisions were made on a Trump plan that was not law. The senior officials “don’t have the authority to say … ‘We don’t care whether Congress appropriated the funds,'” said Andrew Rosenberg, director of the Center for Science and Democracy at the Union of Concerned Scientists in Cambridge, Massachusetts. In August, Northeastern University associate professor Jennifer Bowen started a social media frenzy by posting a letter on Facebook from a DOE employee asking for the removal of climate language from her research summary on salt marsh carbon sequestration. Later, additional scientists who received similar DOE requests identified the sender as Ashley Gilbert, a project coordinator at PNNL (Greenwire, Aug. 29). According to emails sent between 23 August and 25 August, Gilbert acted at the request of Terry Law, a manager of user services at the Environmental Molecular Sciences Laboratory (EMSL), a user facility at PNNL. PNNL spokesman Greg Koller said Law was further directed by “EMSL management” but did not name which officials. It was a “team decision,” he said. While the identities of affected scientists were previously known, Lane’s directive, the role of senior management and the lab’s full reasoning were not. “Can you look at the 14 abstracts … and find those that talk about global warming or climate change? Then contact the PIs to get different wording? Just explain to them we still have to meet the president budget language restrictions,” Law said to Gilbert on 23 August. The proposals were from 14 grant winners supported by EMSL and the Joint Genome Institute. Gilbert then contacted Bowen, University of Arizona assistant professor Scott Saleska and Concordia University biologist David Walsh, who told E&E News he was asked to scrub language in his abstract on terrestrial organic matter transformations in the Arctic Ocean. “Holy cow, really?” Walsh wrote to Gilbert when first asked to change wording. “I understand that you are just doing your job, so I will refrain from comment. I redacted the offensive clause,” Bowen wrote to Gilbert. In an email to Saleska on Aug. 25, Law said the accepted research proposals likely follow the president’s budget request but require revision to “eliminate confusion by others who may not understand the nuances” and “falsely assume we’re funding research that was specifically eliminated for EMSL.” Law did not define who the “others” were. Once Bowen posted her letter publicly, inquiries from journalists started flowing in to Bowen and Law. Eventually, inquiries were kicked over to DOE headquarters. In an email interview, Koller said there was a misunderstanding about the intent of the revisions, emphasizing that they occurred after proposals were accepted, and were never a condition of funding. “There have been no other incidents where PNNL has asked scientists to remove climate change from research proposals,” he said. “Asking authors to clarify abstracts isn’t unusual in the science community,” he said when asked why DOE was basing decisions on a budget request. The revisions were made so scientists could “clarify the focus of their research plans,” he added. Rosenberg at the Union of Concerned Scientists said he had never heard of federal officials making such requests based on a president’s budget proposal, which is just a suggestion to Congress. “I think that’s crazy,” he said. It didn’t help the situation that Congress so rarely meets budget deadlines, but the revisions still should not have happened, he said. DOE spokeswoman Shaylyn Hynes said “the short answer is no” when asked whether DOE headquarters directed PNNL managers. After Bowen’s post this summer, Hynes said “there is no departmental-wide policy banning the term ‘climate change’ from being used in DOE materials. That is completely false.” Koller said that includes PNNL. It’s uncertain whether the PNNL incident was an isolated one. When told of the abstracts, one employee at a national lab said he is free to attend conferences on climate change. Privately, other DOE workers outside PNNL say they’ve been asked to alter climate change language on documents, but internally. “There are some program offices discouraging the use of the term, but none of these instances are from political guidance,” said one DOE staffer. Jeff Navin, a former acting chief of staff at DOE in the Obama administration, said the Trump administration created “this mess” by putting the lab in a tough spot. New cooperative photosynthesis studied for applications to waste treatment and bioenergy production. No image credit. Photosynthetic bacteria are major primary producers on Earth, using sunlight to convert inorganic compounds in the environment into more complex organic compounds that fuel all living systems on the planet. A team of researchers recently discovered a new microbial metabolic process, which they termed syntrophic anaerobic photosynthesis, and which could represent an important, widespread form of carbon metabolism in oxygen-depleted zones of poorly mixed freshwater lakes. The discovery of syntrophic anaerobic photosynthesis reveals new possibilities for bioengineering microbial communities that could be used for waste treatment and bioenergy production. Almost all life on Earth relies directly or indirectly on primary production—the conversion of inorganic compounds in the environment into organic compounds that store chemical energy and fuel the activity of organisms. Nearly half the global primary productivity occurs through photosynthetic carbon dioxide (CO2) fixation by sulfur bacteria and cyanobacteria. In oxygen-depleted environments, photosynthetic bacteria use inorganic compounds such as water, hydrogen gas and hydrogen sulfide to provide electrons needed to convert CO2 into organic compounds. These organic compounds also make their way into the food web, where they support the growth of heterotrophs—organisms that cannot manufacture their own food. A recent study revealed a new metabolic process, called syntrophic anaerobic photosynthesis, in which photosynthetic and heterotrophic bacteria cooperate to support one another’s growth in oxygen-depleted environments. Researchers from Washington State University, Pacific Northwest National Laboratory (PNNL), China University of Geoscience, and Southern Illinois University made this discovery using the Quanta scanning electron microscope and the FEI Tecnai T-12 cryo-transmission electron microscope at EMSL, the Environmental Molecular Sciences Laboratory, a DOE Office of Science user facility. Their analysis revealed that a heterotrophic bacterial species, Geobacter sulfurreducens, directly transfers electrons to a photosynthetic bacterial species, Prosthecochloris aestuarii, which uses electrons to fix CO2 into cell material. At the same time, donating electrons allows G. sulfurreducens to support its own metabolic needs by converting acetate into CO2 and water. This potentially widespread, symbiotic form of metabolism, which links anaerobic photosynthesis directly to anaerobic respiration, could be harnessed to develop new strategies for waste treatment and bioenergy production. Researchers developed a new class of catalysts by putting essentially all of the platinum atoms on the surface material and minimized the use of atoms in the core, thereby increasing the utilization efficiency of precious metals for fuel cells. Platinum is an excellent catalyst for reactions in fuel cells, but its scarcity and cost have driven scientists to look for more efficient ways to use the precious metal. In a recent study, researchers developed a new class of catalysts by putting essentially all of the platinum atoms on the surface and minimizing the use of atoms in the core, thereby increasing efficient utilization of platinum for fuel cells. The novel nanocage catalyst will help promote the sustainable use of platinum and other precious metals for energy and other industrial applications. The reduced costs associated with the novel nanostructures will encourage commercialization of this technology for the development of zero-emission energy sources. Researchers from Georgia Institute of Technology and Emory University, Xiamen University, University of Wisconsin–Madison, Oak Ridge National Laboratory and Arizona State University fabricated cubic and octahedral nanocages by depositing a few atomic layers of platinum on palladium nanocrystals, and then completely etching away the palladium core. Density functional theory (DFT) calculations suggested the etching process was initiated by the formation of vacancies through the removal of palladium atoms incorporated into the outermost layer during the deposition of platinum. Some of the computational work was performed using computer resources at EMSL, the Environmental Molecular Sciences Laboratory, a Department of Energy Office of Biological and Environmental Research user facility. DFT calculations were performed at supercomputing centers at EMSL, Argonne National Laboratory and the National Energy Research Scientific Computing Center. Based on the findings, researchers propose that during platinum deposition, some palladium atoms are incorporated into the outermost platinum layers. Upon contact with the etchant—an acid or corrosive chemical—the palladium atoms in the outermost layer of the platinum shell are oxidized to generate vacancies in the surface of the nanostructure. The underlying palladium atoms then diffuse to these vacancies and are continuously etched away, leaving behind atom-wide channels. Over time, the channels grow in size to allow direct corrosion of palladium from the core. This process leads to a nanocage with a few layers of platinum atoms in the shell and a hollow interior. Compared to a commercial platinum/carbon catalyst, the nanocages showed enhanced catalytic activity and durability. The findings demonstrate it is possible to design fuel cell catalysts with efficient use of precious metals without sacrificing performance. Moreover, it is possible to tailor the arrangement of atoms or the surface structure of catalytic particles to optimize their catalytic performance for a specific type of chemical reaction. The researchers are testing these catalysts in fuel cell devices to determine how to further improve their design for clean energy applications. The formation of ice crystals in the atmosphere strongly affects cloud dynamics, cloud radiative properties and the water vapor budget, and thus plays an important role in climate. To gain new insights into this poorly understood process, researchers used state-of-the-art micro-spectroscopy and chemical imaging methods to characterize the physical and chemical properties of ice-nucleating particles sampled from ambient air. The study reveals the abundance of a given type of particle in the atmosphere can play a stronger role in ice formation than the particle-specific ice-nucleation propensity determined by the specific chemical and physical particle properties. These findings significantly advance our understanding of the underlying mechanisms that lead to ice formation in the atmosphere and could improve the accuracy of predictive cloud and climate models. Researchers from Stony Brook University, EMSL, Lawrence Berkeley National Laboratory and University of the Pacific developed a novel methodology that enables comprehensive analyses of individual particles that act as ice nuclei, which trigger the formation of ice crystals in the atmosphere, as well as the entire population of particles found in ambient air. 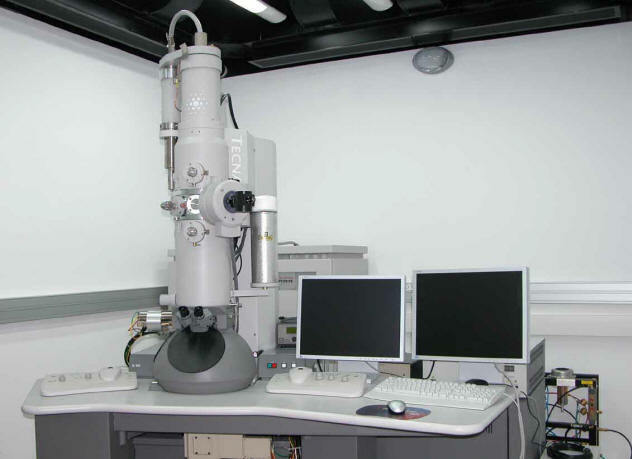 To characterize the particles’ physical and chemical properties, the researchers used micro-spectroscopy and chemical imaging methods, including computer controlled scanning electron microscopy with energy dispersive analysis of X-rays (CCSEM/EDX) and scanning transmission X-ray microscopy with near edge X-ray absorption fine structure spectroscopy (STXM/NEXAFS). These methods provide information on the size, shape and elemental composition of a large number of individual particles. By classifying the particles into categories based on physical and chemical properties, the researchers discovered ice-nucleating particles are not distinct from other particles. In other words, unique particle composition and shape were not sufficient to assess the potential to act as ice nuclei. Instead, the ice-nucleating particles are common in the atmosphere and do not always pose a “needle-in-the-haystack” challenge. This is in contrast to the traditional view that there are very few, but exceptional particles in the atmosphere with the right properties to become ice nuclei. Even particles that are not especially efficient at forming ice crystals can play an important role in this process when sufficiently abundant in the entire particle population, due to the large collective surface area for ice-nucleating reactions. The findings suggest cloud models should take into account the properties of the entire particle population in addition to those of individual ice-nucleating particles to accurately reflect the important role of particle abundance and total available surface area in ice formation. Funding: Funding for sample collection was provided by the Atmospheric Radiation Measurement (ARM) Program sponsored by the DOE’s Office of Science’s Office of Biological and Environmental Research (OBER), Climate and Environmental Sciences Division (CESD). Funding for data analysis was provided by the U.S. DOE’s Atmospheric System Research (ASR) Program, OBER, CESD. Laboratory Directed Research and Development funds were provided by PNNL. EMSL is a national scientific user facility that is funded and sponsored by DOE’s Office of Biological & Environmental Research. As a user facility, our scientific capabilities – people, instruments and facilities – are available for use by the global research community. We support BER’s mission to provide innovative solutions to the nation’s environmental and energy production challenges in areas such as atmospheric aerosols, feedstocks, global carbon cycling, biogeochemistry, subsurface science and energy materials. Biomass holds great promise as a fuel source to generate renewable energy to help the United States achieve energy independence. Kim Hixson is applying what she’s learned from a lowly weed to bioengineer better biomass feedstock. Hixson, an EMSL senior research scientist, is collaborating with Norman Lewis, a regents professor and director of the Institute of Biological Chemistry at Washington State University in Pullman. Together they are using EMSL’s multi-omics capabilities to better understand how manipulating the genes in one plant can be applied to other plants to improve their potential as biofuel and biochemical feedstock. 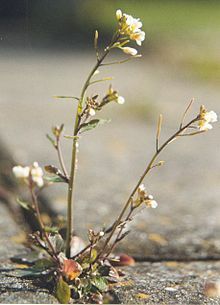 Arabidopsis is a small flowering plant related to cabbage and a model organism used to research plant biology. The plant on the left is wild-type Arabidopsis at five weeks. The plant on the right is Arabidopsis at five weeks with ADT-related genes knocked out, reducing the levels of lignin. Arabidopsis has a six-member isoenzyme family of arogenate dehydratases, or ADTs. These enzymes are involved in the catalytic reactions that turn arogenic acid, a metabolite, into phenylalanine, an essential metabolite which is incorporated directly into proteins or is further modified into other chemicals such as flavonoids, coumarins, anthocyanins and lignin. Hixson’s research found hundreds of different changes occurring in the plant due to the modifications in the ADT composition. The collaborators at WSU discovered that out of the six ADTs in Arabidopsis, five ADTs are seemingly linked to the production of phenylalanine utilized in the phenylpropanoid pathway, which is involved in lignin production. Lignin gives plants their recalcitrance; it’s hydrophobic and difficult to degrade. Lignin is the structural material that makes the sugars in plants difficult to extract when making biofuels. Hixson’s Arabidopsis studies earned her an American Chemical Society Withycombe-Charalambous Graduate Student Symposium Award. At the symposium she presented some of her findings from the multi-omics analysis of the gene knockouts conducted at EMSL. 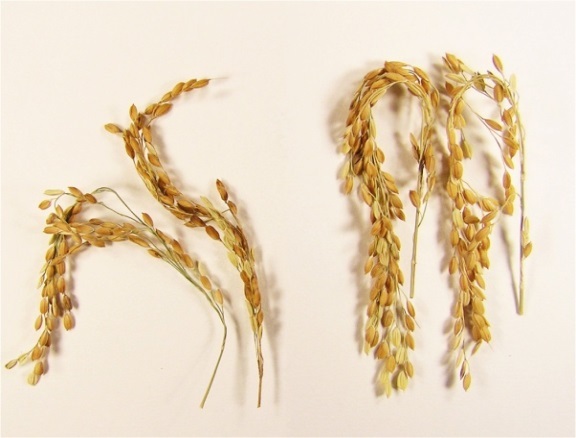 The researchers analyzed several knockout mutants of ADTs, including single, double, triple and quadruple knockout mutants, with each mutant strain producing varying degrees of lignin reduction. They found that knocking out multiple ADTs and specific ADTs leads to a measured reduction of lignin in the plants. By knocking out different combinations of the ADT-related genes, the researchers produced plants with various levels of lignin. In the most extreme case where they knocked out four ADT-related genes, the plant was unable to hold its own weight and became vine-like. Other findings from Hixson’s research showed knocking out ADT genes alters the photosynthesis machinery and pathways in the mutant plants. For reasons not completely understood, knocking out ADT genes causes the mutant plant systems to produce more photosynthetic machinery, potentially fixing more carbon, but an overall increase in plant mass was not observed. Using transcriptomics and proteomics techniques at EMSL, the researchers were able to look at the other pathways and genes that were changed in the mutant plants. They found the photorespiration pathways were also up-regulated. While more carbon was potentially being fixed, more of it was likely being lost or released back into the atmosphere through the photorespiration pathways. Researchers collect samples of mutant poplars to undergo multi-omics analysis to determine if the genetic changes affect other pathways and functions in the tree. The research has developed several lines of mutant Arabidopsis by altering the composition of the ADT genes, which ultimately decreases the amount of lignin these plants produce. Questions arise about how much ADT can be lessened and thus how much lignin can be reduced before a plant in a real world setting shows detrimental growth affects. Additionally it is important to understand how these changes alter other pathways and other systems within the plant, and how the changes are altering the plant system as a whole. Poplar trees are native to the Pacific Northwest and widely used as a feedstock in the paper industry. 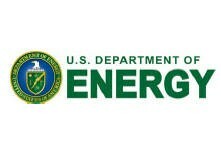 The Department of Energy is interested in the poplar as a biofuel. Within the missions of EMSL and the DOE Office of Biological and Environmental Research is a charge to reduce the United States’ dependence on foreign oil and to develop technology for alternative fuel and chemical options. Hixson hopes the manipulations in the Arabidopsis translate to other plants, such as poplars. Poplar has a larger and more complex genome than Arabidopsis. She will test the altered poplars at EMSL with multi-omics analysis to see how the transcriptome and proteome changes and if she sees the same types of response in the tree as she saw in the Arabidopsis. The researchers have incorporated the ADT knockouts into poplar trees to test if the amount of lignin can be reduced and how far it can be reduced without damaging effects to the tree as a whole. Hixson recently collected samples of the mutant poplars from a test plot and greenhouse in western Washington. She will use EMSL’s multi-omics capabilities to determine if a change to one pathway affects other pathways and functions in the tree. According to Hixson, proteomics and transcriptomics identify what genes are being affected, either positively or negatively. This information will be useful when bioengineering poplars as a feedstock. The data will also be incorporated into her dissertation for her doctorate in molecular plant sciences from WSU. The study with the poplar trees is an approved EMSL user project. Lewis is the principal investigator and Hixson is a collaborator. Lewis is also Hixson’s faculty advisor. Hixson and Lewis have several research proposals they are hoping get approved. In collaboration with Mary Lipton, an integrative omics scientist at Pacific Northwest National Laboratory, and other scientists, they submitted a proposal to NASA. In this study several of the mutant Arabidopsis would be sent into outer space to test what happens to reduced-lignin plants in a microgravity environment. In another submission, this one in response to an EMSL internal call, Hixson and Lewis are proposing to study red alder trees as an ideal biofuel source. A red alder grows almost as fast and dense as a poplar, but it forms specialized symbiotic relationships in its root system. These symbiotic relationships produce root nodules which can fix nitrogen, allowing red alders to thrive without added fertilizer and grow on marginal lands. Hixson believes red alder has the potential to be a highly valuable source for biomass feedstock or other wood-based materials. For this study, they will apply what they learned from the Arabidopsis and poplar research. The proposal includes a full genetic characterization of the red alder and a multi-omics study of the tree’s association with two ubiquitous root symbionts. Nanocatalysts consisting of two metals can offer superior performance compared with those made up of only one metal, so they are widely used for industrial processes that generate fuels and chemicals from natural gas, coal or plant biomass. However, complex interactions between the two metals during catalytic reactions can lower catalytic efficiency. This study addresses this issue by directly observing the changes of platinum-cobalt nanoparticles in operating conditions. Such particles are used as catalysts to convert carbon dioxide and hydrogen into long-chain carbon fuels and are important to the operation of low-temperature fuel cells. The new insights on the transformations of multiple component catalysts will allow researchers to optimally design similar catalysts to improve their performance, extend their lifetime, and reduce their environmental impact. Moreover, this research could guide efforts to minimize the use of precious metal components such as platinum and therefore reduce the cost of catalysts and lead to a more economical product for consumers. In a multi-national lab effort led by Haimei Zheng from Lawrence Berkeley National Laboratory, researchers from DOE’s Pacific Northwest National Laboratory and collaborators examined real-time changes in the atomic structure of nanoparticles consisting of platinum and cobalt during reactions with oxygen and hydrogen using environmental transmission electron microscopy (ETEM), a specialized instrument housed in the Quiet Wing at the Environmental Molecular Sciences Laboratory (EMSL), a DOE national scientific user facility. The work was supported by the Chemical Imaging Initiative at PNNL. During oxidation in an oxygen gas environment, cobalt migrated to the nanoparticle surface, where it formed a cobalt oxide film that covered the platinum. Within ten seconds, this oxide film broke apart to form distinct islands and created voids in the interior of the particle, which can impair catalyst performance. This process was reversed during reduction in a hydrogen gas environment, which caused the cobalt oxide patches to decrease and the cobalt to migrate back to the bulk of the particle. Reduction with hydrogen also caused a layer of platinum to form on the particle surface, which is expected to improve catalyst performance. These new insights into the atomic scale behavior of nanoparticles consisting of multiple metals in reactive environments pave the way for a deeper understanding of the properties of multi-component catalysts and will guide efforts to improve their performance. In particular, the findings can be used to design multi-component catalysts that do not form oxide islands on the nanoparticle surface, but rather retain the material with higher catalytic performance on the nanoparticle surface during catalytic reactions. Laboratory Directed Research and Development Programs at PNNL and LBNL.